The National Weather Service has just released data showing that 2.19 inches of rain fell at the Puu Kukui gauge in the West Maui Mountains in the 12 hour period that ended at 2 p.m. Haiku recorded 1.22 inches, Wailuku 1.19 inches, Kahului Airport .66 inches, Mahinahina .52 inches and Waikapu .50 inches. A few showers are still falling over the Valley Isle, but the widespread rain has ended. So has the flood advisory, which is being allowed to expire at 2:30 p.m.
A FLOOD ADVISORY REMAINS IN EFFECT UNTIL 2:30 p.m. FOR MAUI. WINDWARD PORTIONS OF HALEAKALA HAS DIMINISHED...BUT MODERATE TO HEAVY SHOWERS ARE NOW AFFECTING NORTHERN AND WESTERN PORTIONS OFWEST MAUI...FROM HONOKOHAU TO NAPILI TO LAHAINA. RUNOFF REMAINS HIGH IN STREAMS ALONG THE WINDWARD SIDE...AND THUS THE FLOOD ADVISORYREMAINS IN EFFECT. 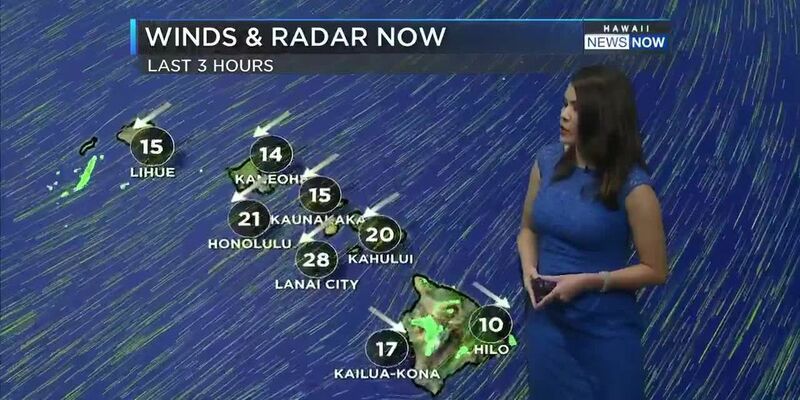 Flood advisory until 12:30 p.m.
At 9:15 a.m. radar continued to show areas of moderate to heavy rain over the windward slopes of Maui both on the slopes of Haleakala and along the windward slopes of the west Maui mountains. Other locations in the advisory include but are not limited to Kanaha Beach Park, Wailuku, Waikapu, Waihee, Waiehu, Spreckelsville, Puunene, Pauwela, Paia, Makawao, Keanae, Kahakuloa, Hookipa Beach Park, Honokohau, Haliimaile and Haiku. The National Weather Service has issued a Flood Advisory for Maui until 9:30 a.m. Thursday. At 6:24 a.m., radar showed moderate to heavy rain over the north facing slopes of Maui, with the heaviest rain over the Hana Coast between Nahiku and Hookipa. The National Weather Service has issued a Flood Advisory for Oahu until 8 p.m. Monday. At 4:48 p.m., radar showed heavy rain near Kaaawa. Heavy rain also appeared to be forming along other sections of windward Oahu, with more forming offshore southeast of Hawaii Kai. A Flash Flood watch is still in effect for Oahu and Maui County until 6 p.m. Tuesday. A Flash Flood watch continues for Oahu and Maui County. While overall heavy shower coverage has decreased within the watch area late this afternoon enough activity remains across Oahu and portions of Maui county to prompt a continuance of the flood watch through tonight. Lingering instability associated with the front may trigger heavy rainfall across sections of Maui County and Oahu continuing the potential for flash flooding through tonight. 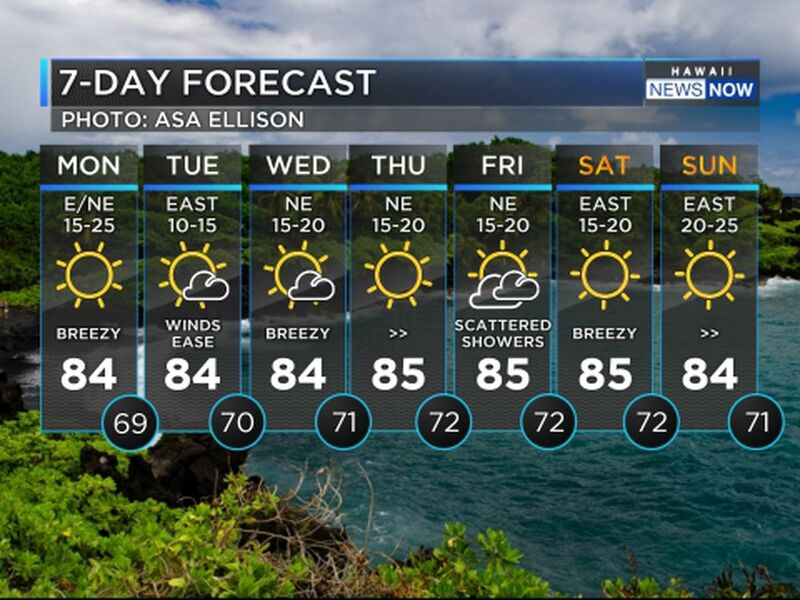 The National Weather Service says heavy rains are diminishing in the islands, but Oahu remains under a flash flood watch until 6 p.m. A cold front brought heavy rain to the islands this weekend. As the front moved through, various flood watches were downgraded to advisories. 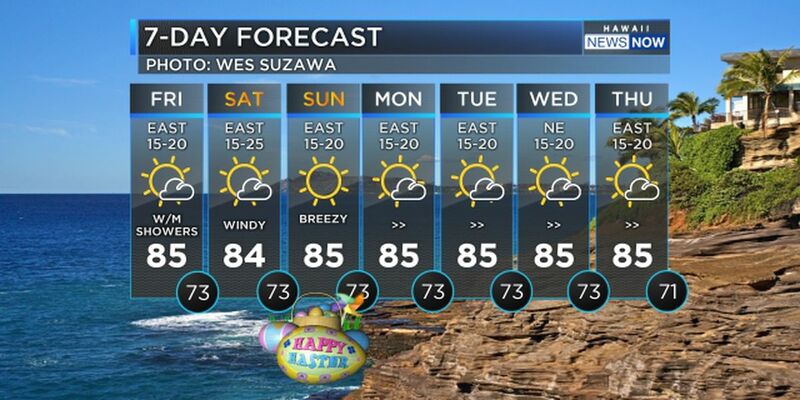 The National Weather Service warns that thundershowers are still possible on Oahu. The flood advisory has been canceled for Oahu. Weather radar and rain gages showed that the heavy rains have ended. Thus the flood advisory is canceled. A flash flood watch for Oahu and the islands of Maui county remains in effect until 6 p.m. The flash flood warning is canceled for the island of Maui. Weather radar showed that heavy rainfall has weakened and moved offshore, thus the flash flood warning is canceled. The National Weather Service issued a Flood advisory for Oahu Until 1:15 p.m.
* at 10 a.m. a gage at Punaluu showed rain falling at a rate of 1 to 2 inches per hour. Radar shows that additional rainfall will move over the windward Koolau slopes from Kaaawa to Kahuku and over the Waimanalo and Maunawili areas. * Other locations in the advisory include but are not limited to Hauula...Kahana...Laie...Kailua...Kaneohe...Waiahole and Hauula. The National Weather Service in Honolulu has issued a Flash Flood Warning for the island of Maui. The warning is in effect until 12:30 p.m.
* at 924 a.m. radar showed very heavy rain along the Kahekili highway between Wailuku and Kahakuloa. The area of heavy rain was nearly stationary and poses a flash flood threat. * other locations in the warning include but are not limited to Waihee and Kahakuloa. This flash flood warning replaces the flood advisory that was in effect for Maui. Runoff from this storm may also cause rock and mudslides in steep terrain. The National Weather Service has expanded the Flash Flood Watch to include Kahoolawe, Lanai, Maui and Molokai through Monday afternoon. The watch also continues for Oahu, but has been canceled for Kauai and Niihau. Forecasters said a cold front will move onto Maui County overnight, bringing the threat of heavy downpours and possible thunderstorms. Meanwhile, the Weather Service also issued a Flood Advisory for the entire island of Molokai until 12:45 a.m. Monday. 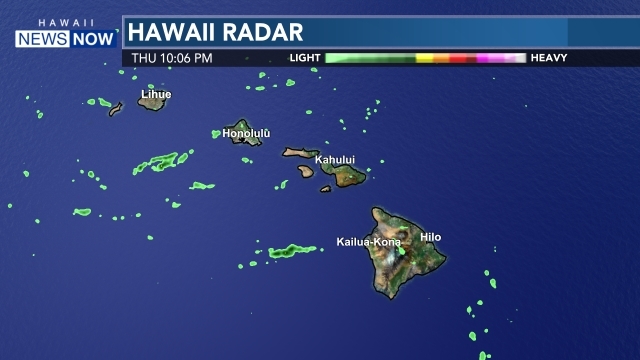 A Flash Flood Warning for Oahu was canceled at 10 p.m.